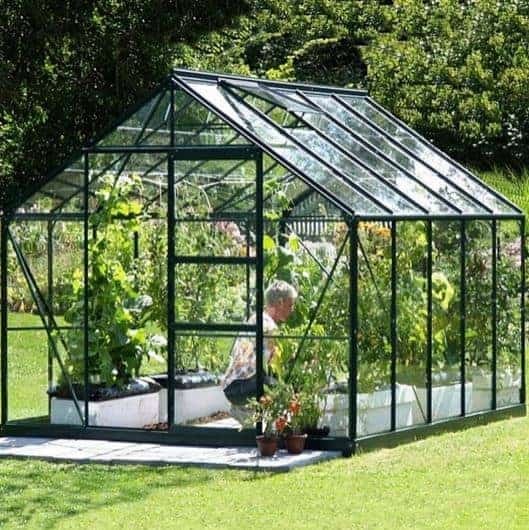 This 10 x 8 greenhouse has a fantastic apex roof, and this really helps in two ways. 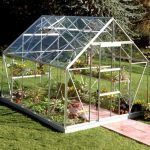 Initially, it brings in lots of head height so you have the ability to bring in taller plants and tools if necessary. 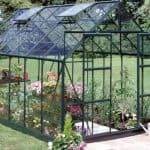 But it also stops rainwater from gathering on the roof and therefore prevents a real problem. 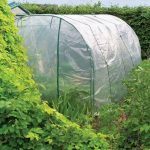 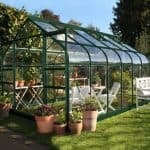 The green powder coated frame on the greenhouse is a strong barrier against rust, and this helps all year round, keeping the frame safe and the contents of the greenhouse safe too. 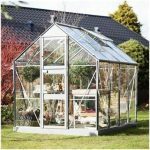 The stability is guaranteed for three years by a manufacturer’s warranty that enables you to be safe in the knowledge that the building has a long life.